You want someone to invest in your business someday, right? Sometimes it is impossible to start a business without investors. 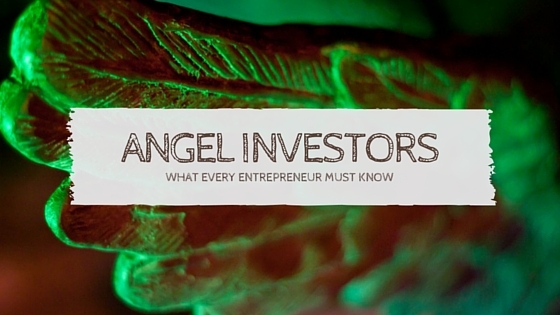 The most common outside investors in early stage companies are called angels. Angels are individuals who invest their own money. As a side note: There are also “angel funds” that invest in early stage startups. Some of them are member-led angel funds which is a hybrid model between angel investors and partners in venture capital (VC) funds. There are over 5 million accredited investors in the USA. According to a survey by Reynolds, there are 756 angel investors in the USA who have made an angel investment. Your business can reach the next level with angel funding. Angles help you with capital and expertise. Many angels are entrepreneurs with the kind of experience you need to succeed in business. Due diligence is usually fairly fast. The biggest downside to angel investing is giving up equity in your company. You have to give up some control of your company to get the investment. You might have to fight over key business decisions with your investors. Investors often have a different exit strategy in mind than the founders of the business. Angel investment is not a great option if you want to run your business for a long time without giving up control. Angel investors are risk-averse and rarely make follow-up investments. Angel investors are usually individuals. An angel investor provides financial backing to entrepreneurs and early stage startups. The capital they provide can be a single injection of funds or ongoing financial backing. Sometimes angel investors are friends or family members. Often angels are experienced entrepreneurs. Angels usually invest in the person, not just in the viability of the business. Most of the time angels come into the equation pre-revenue. How much risk angel investors take on? Angel investing is very risky. Angel investors know going into a deal that there is a much greater chance of losing their money than a positive return. Angel investors must be comfortable losing all of their investment in your business. With a less than ten percent startup success rate most angels end up losing their investments. Will angel investors sign your NDA? Please don’t ask angel investors to sign your NDA. Asking an angel to sign an NDA is a rookie mistake. If you ask an angel investor to sign your NDA they won’t do it. They see too many deals to worry about signing NDA’s. If you know anything about business you understand that the idea is not what makes a business successful but the execution. What angels look for in entrepreneurs? Angels want to work with people with integrity. They also want you to have a solid pitch. Don’t waste their time with long drawn out presentations. If you have more than five slides in your presentation, you are wasting time. Get to the point. Avoid fluff. Share the facts only. Do you have a prototype? Are there any customers? How many? How much money did you spend to get them, and how much time did it take? What is important to angel investors? Angels invest in people. They are looking for commitment, team, passion, experience, and integrity. They will evaluate your business idea and the opportunity it presents. Do you have an idea that can become huge, or at least very big? Angels want to see your business plan. They want to know how you expect to get customers and how much it will cost. Angels get excited when you have unique and protectable technology. Also, angels want to work with companies with reasonable valuation and terms. How to impress angel investors? You don’t need to impress angels. Be honest. Show the the facts. Know your numbers. Avoid vanity metrics. Have integrity. Be humble. Never confuse the need to have confidence with arrogance. How long does it take to get angel investment? Close your eyes and imagine how long it will take to get angel funding. Now, open your eyes and double the time frame you were thinking. Raising money is time-consuming. Even if everything goes well it will take longer than you expect. It takes time to find the right investor for your business. It takes even longer to find investors who are interested in your startup. Even if you find the right investor you still have to go through meetings, negotiations of terms, and due diligence. Raising money can be as time consuming as a part-time job. What questions angel investors ask? What is the makeup of the startup team? What experience does your team has that will help you succeed? How many team members do you have? What additional team members are needed? Who are your customers, and how many of them are there? What is the projected lifetime value of a customer? What is your strategy to compete against your competition? How soon can you generate revenue and how much? How fast can you grow and scale your business, in the next 3,6 and 12-months? Do you have any proprietary technology like patents, etc? What traction have you made? What are some big wins so far? What is your sales and marketing strategy? What is the sales cycle between lead/visitor and closing the sale? What is your PR strategy? How long will that capital last? What are your financial projections for the next 3, 6-months to 2-years. What are your cost components? How are you going to spend investors’ money? What questions should entrepreneurs ask of angel investors? Working with an investor has to work for both parties, your startup and your angel. Before you consider accepting angel investment for your business find out if you are a good fit for them. Can you refer me to startups you have funded in the past? How do you interact with your portfolio of startups? Have you invested in companies within our space? How do you help the companies you invest in? How can you help us grow our business? How can you help us find strategic partners? Which VC firms are within your active network who would fund our next investment round? How to find angel investors? Angel investors used to be difficult to find, but that is no longer the case. The first and most obvious place to look for angel investors is among friends and family. It is great to have a family member who can afford to invest in your dream. At the same time it is difficult to mix personal and professional relationships. It is also difficult to ask a family member to invest in a startup when you know that only about 1 out of 10 succeeds. Losing a friend or family member’s money could ruin your relationship. If you are willing to take that risk, finding an angel within your friends and family is an option. Another option is to find angel investors outside of your immediate circle of friends. This could be difficult because most angels don’t advertise the fact that they actively invest in startups. It further complicates the they don’t know you. If you find a potential angel investor, they might not be familiar with your industry. Network with entrepreneurs who are in a similar space. Ask them about angel investors. Are they working with someone? Can they recommend someone? How much money angels invest? Angel investors usually invest fairly small amounts of money into a business. Typical angel investment is somewhere between $25,000 and $100,000. The size of the investment amount can vary. And, it can go above or under the above range. What are the terms of angel investment? A term sheet is a legal document between the angel the the startup. It basically includes the details of the deal with the usual, complicated legalese. Negotiating the term sheet is one of the most important part of the funding process. The term sheet is important for both parties because it ensures that the relationship is started on the right foot. Angel investment terms sheets are about ten pages long which is a lot shorter than term sheets for VC investments. Investment structure – Angels normally invest in one of three types of securities, common shares, convertible preferred shares, convertible debt. Common shares are residual value shares of the same class issued to a company’s founders. Convertible preferred shares are shares that include a liquidation preference over common shares, and are convertible into residual value common shares. With both common and convertible preferred shared deals, the parties agree on a valuation before investment, and this sets the price of the investment. Angels often invest through convertible debt. What this means that angels loan the money to the startup with the loan amount being convertible into equity shares of the startup. Convertible debt financing offers a huge advantage because the parties can defer fixing a valuation of the business until a future funding round. At the future investment round the debt converts into equity shares which could be at a 10% to 25% discount, rewarding early stage angel investing. Key economic terms – They quantify the preferred return on investment and any accruing earnings on the investment. Preferred returns define the amount the startup must return to the angel investor before distributing any assets to other stakeholders. Board structure – Angels usually require a seat on the board of directors (either as a board member or as an observer.) Founders also, typically, give angels reporting rights. Shareholder agreement – They are almost always part of deals. Due diligence – Each angel investor handles due diligence differently. A thorough due diligence is the sign of more successful investment deals. General corporate materials – articles of incorporation, bylaws, organizational chart, list of shareholders. Financial information – Recent financial statements, auditor’s letters, financial analysis and projections, expenses, credit report. Physical assets – fixed assets, leases of equipment. Real estate – business locations, real estate leases, mortgages, permits, etc. Intellectual property – foreign and domestic patents, trademark and copyright documents, inventions and licenses. Employee related issues – list of employees and their positions within the startup. Environmental issues – list of hazardous substances, litigation issues. Tax matters – all tax returns, any audits. Strategic partner matters – agreements with any and all partners. Product or service lines – a list of all products and services, warranty issues. Customer information – list of current and past customers, most recent new customers, and list of lost customers, marketing and sales programs. Litigation matters – any pending litigation, past litigation. Insurance matters – any kind of insurance the company holds and past insurance claims. Professionals – attorneys, accounting, and similar professionals the company currently works with and has worked with in the past. Media mentions – list of new mentions, press releases, analyst reports. Angel investors are individuals. Venture capitalists are businesses. Angels invest in early stage and mature companies. VC’s usually invest in more mature companies. Angels normally invest tens of thousands of dollars while VC’s usually invest millions per deal. VC’s require a seat on your board. Getting VC funding usually takes longer and more complicated than angel funding. Many times, startups seek out crowdfunding before they go after angel investors. Crowdfunding is an excellent avenue to a proof of concept. You will ship your first products to your backers. It gives you access to honest feedback about your product. Crowdfunding is a great way to improve your product and processes while you are still small. A huge advantage of crowdfunding is that you get funding without giving away part of your business. Crowdfunding is a very public affair and it can be great PR for your company. There are few disadvantages to crowdfunding. One is that crowdfunding platforms charge a fee. There is also a credit card processing fee you have to account for. Crowdfunding lacks in terms of guidance. When angels invest in your startup they also mentor you in the process. You don’t get that with crowdfunding.